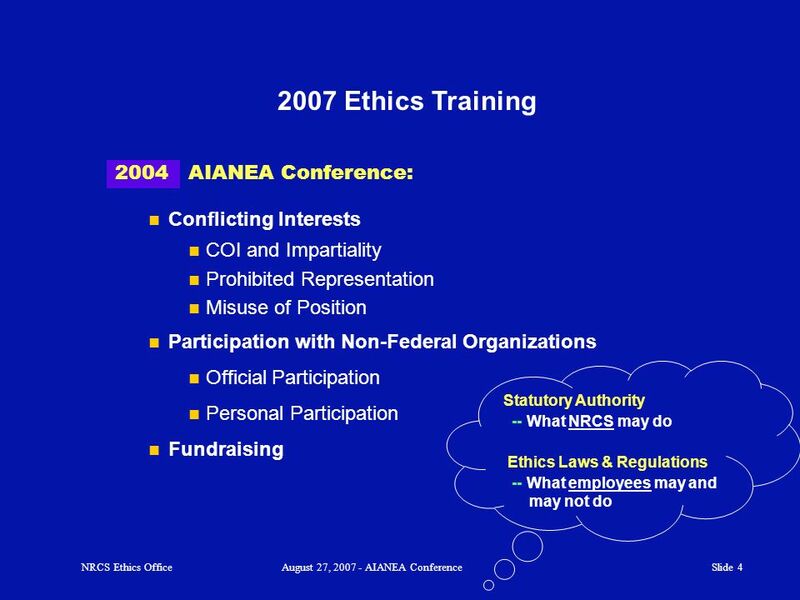 9 Let's look at some examples. 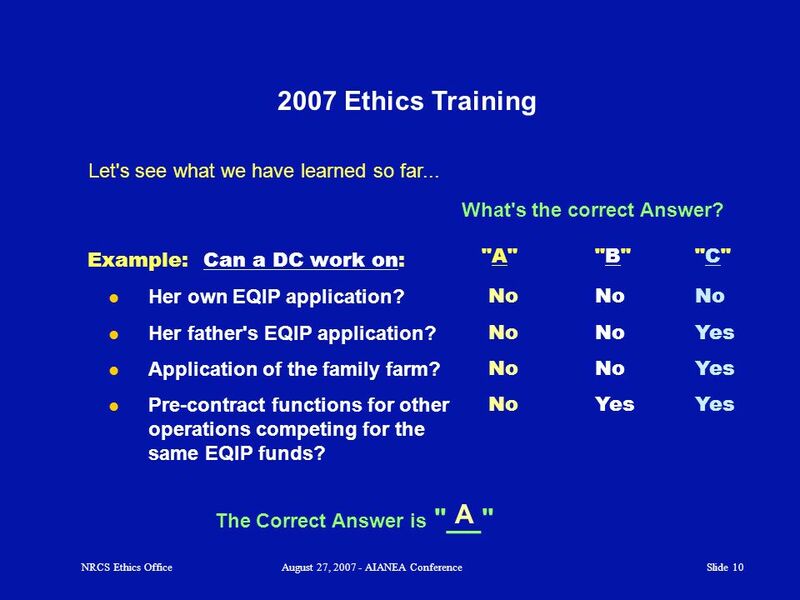 10 A Let's see what we have learned so far... What's the correct Answer? 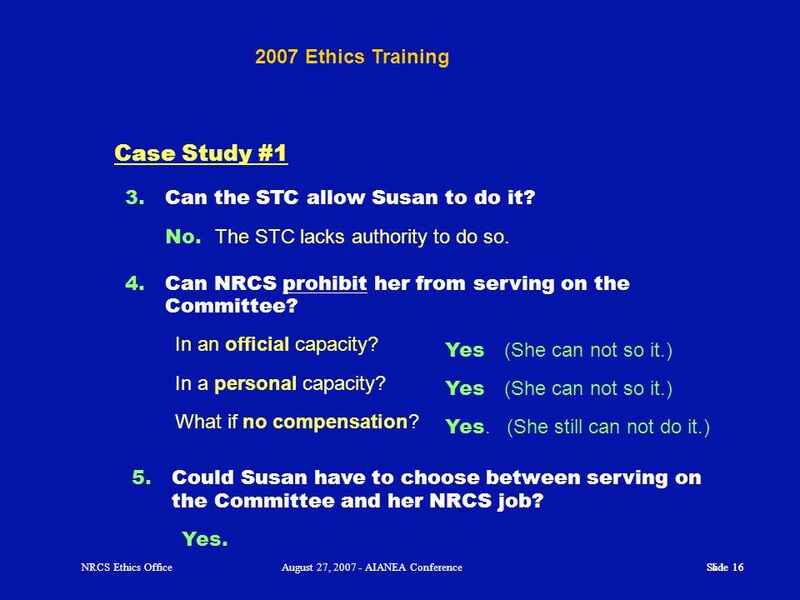 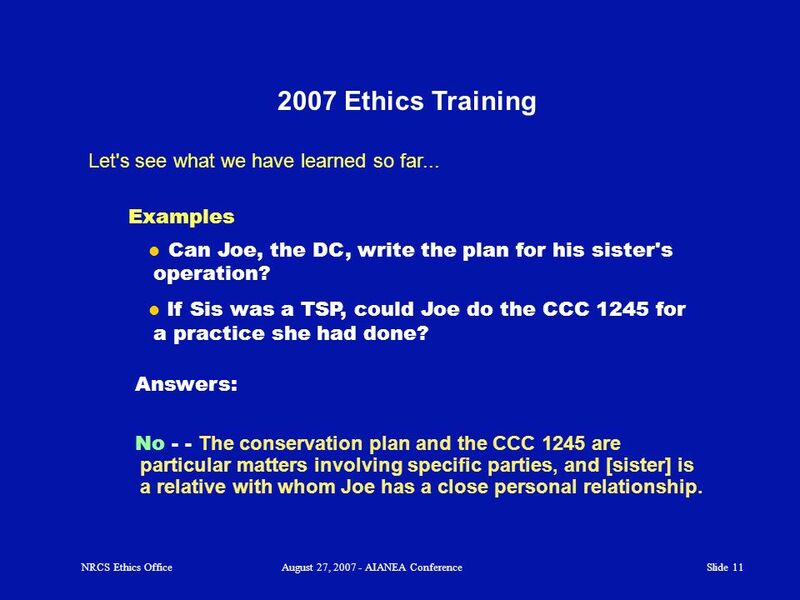 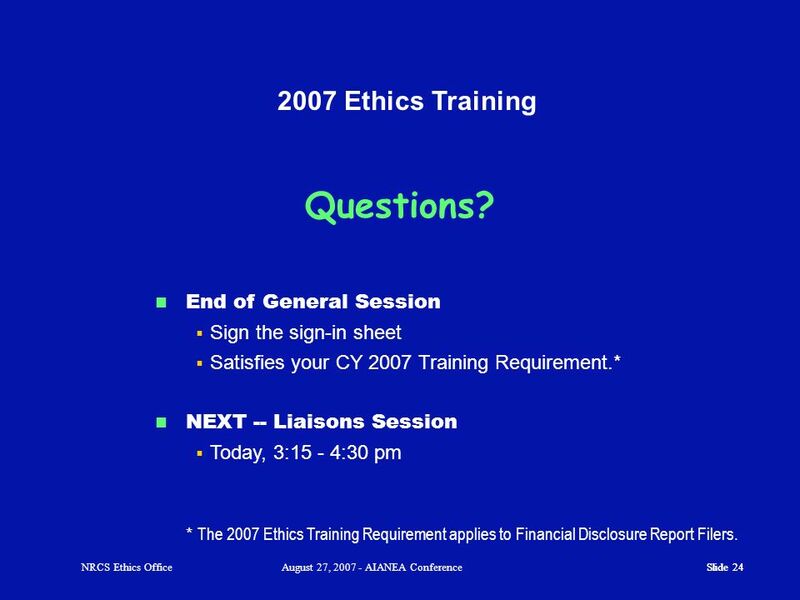 16 Case Study #1 2007 Ethics Training Can the STC allow Susan to do it? 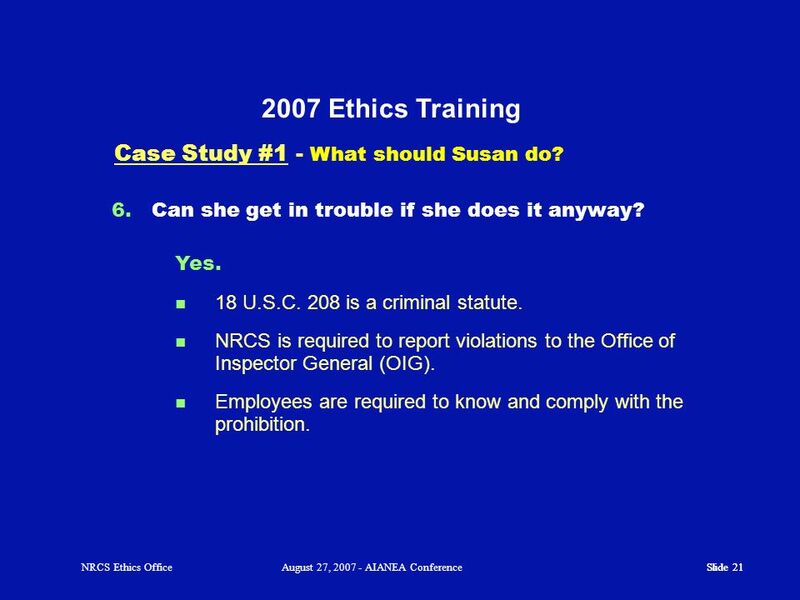 21 2007 Ethics Training Case Study #1 - What should Susan do? 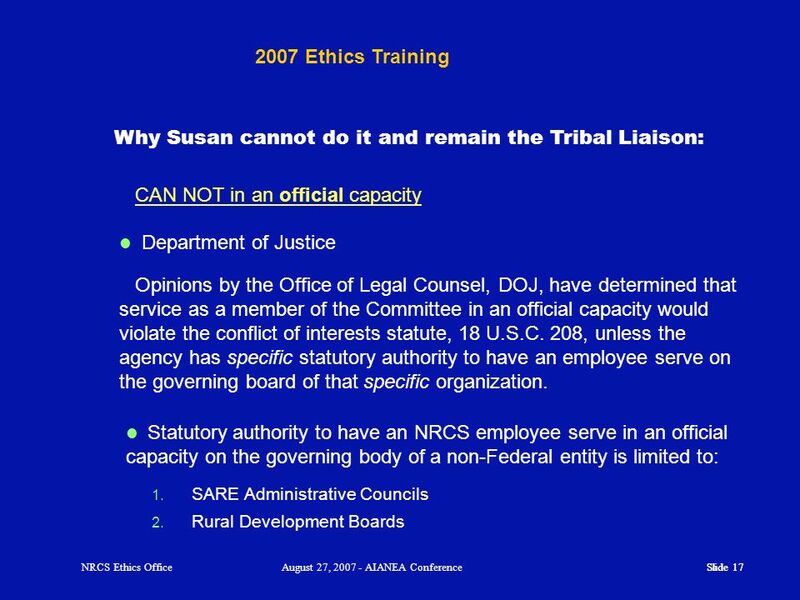 22 2007 Ethics Training Case Study #1 - What should Susan do? 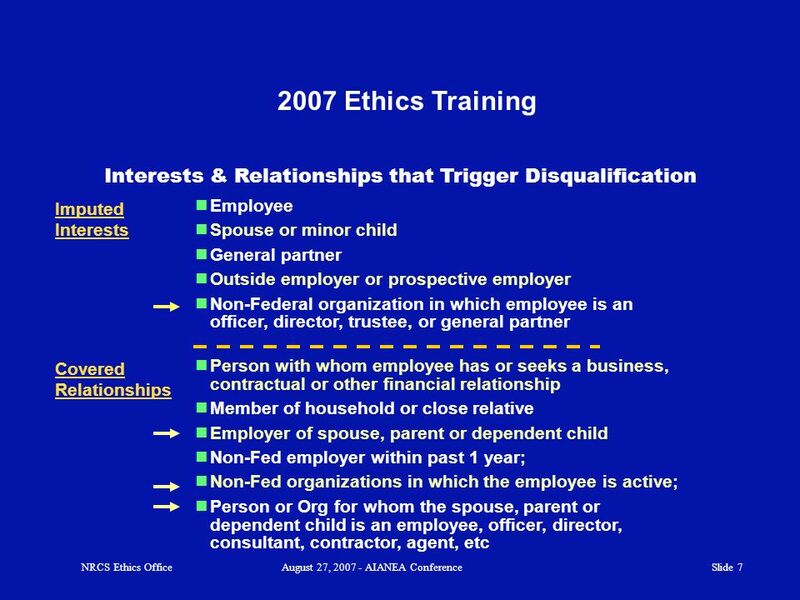 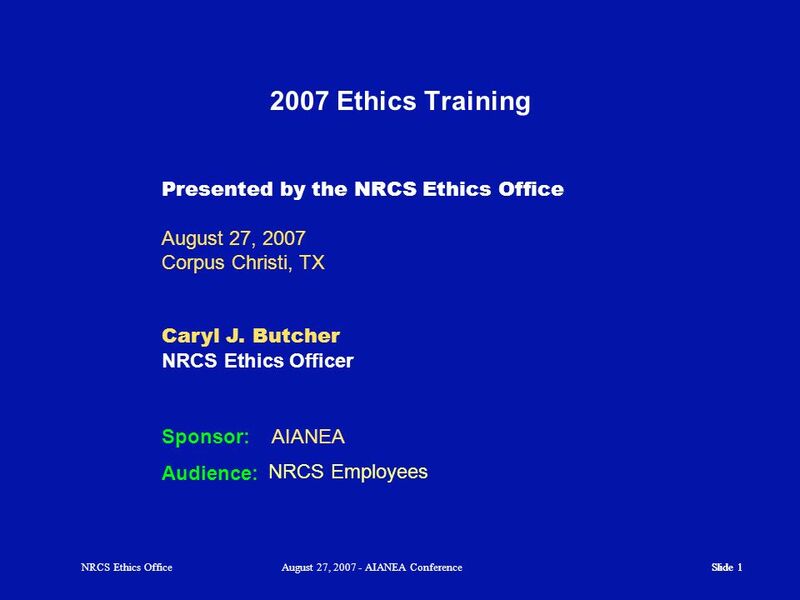 Download ppt "2007 Ethics Training Presented by the NRCS Ethics Office August 27, 2007 Corpus Christi, TX Caryl J. 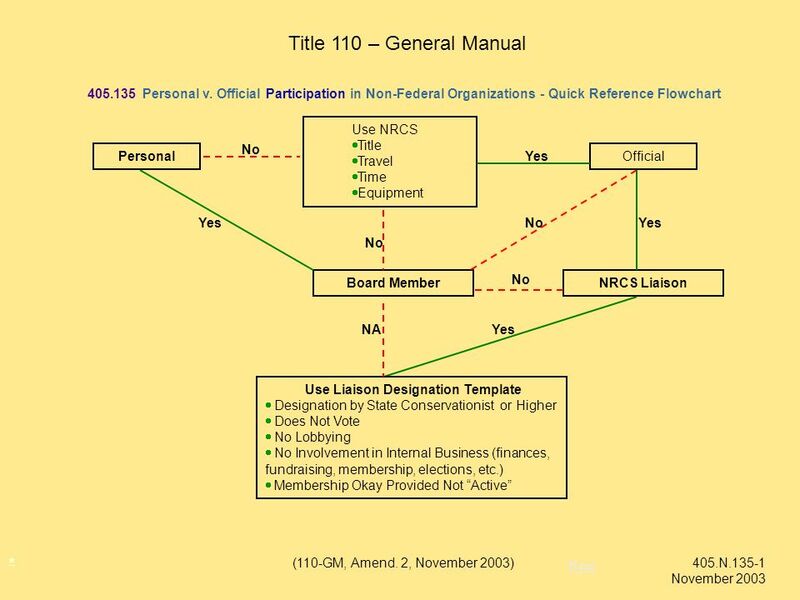 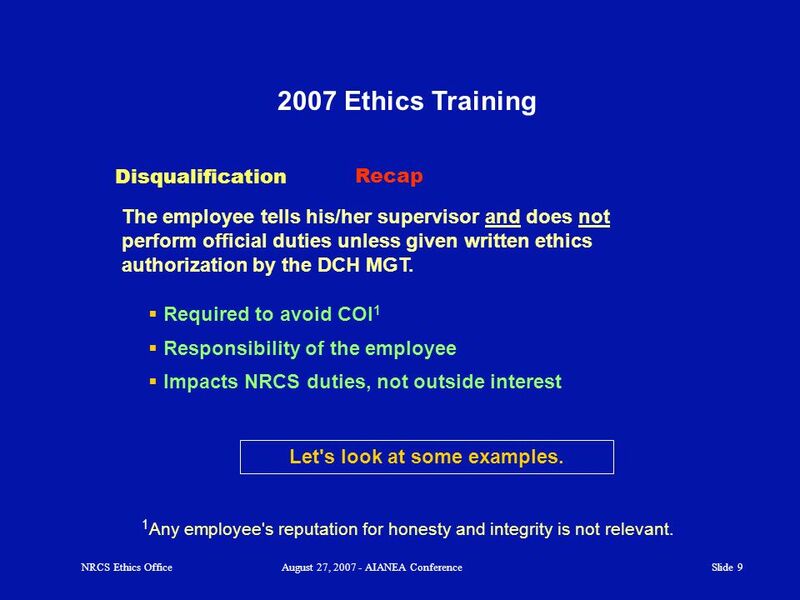 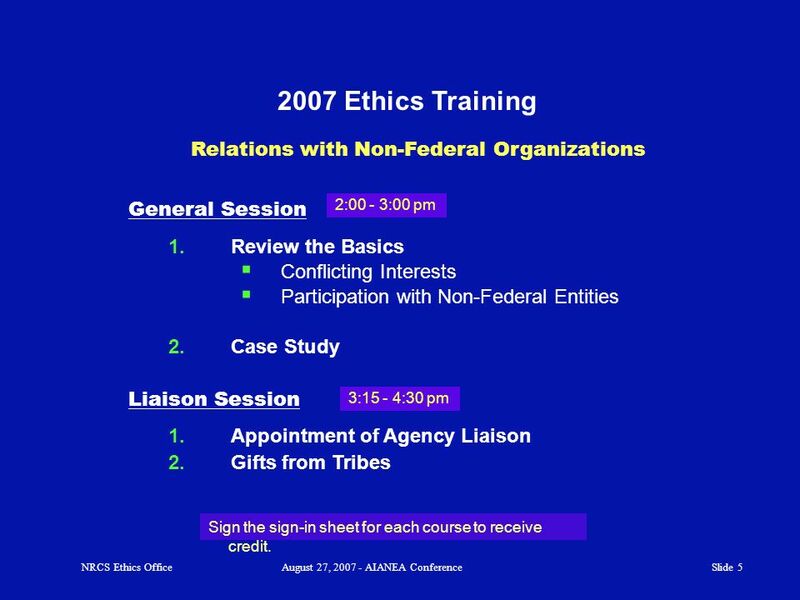 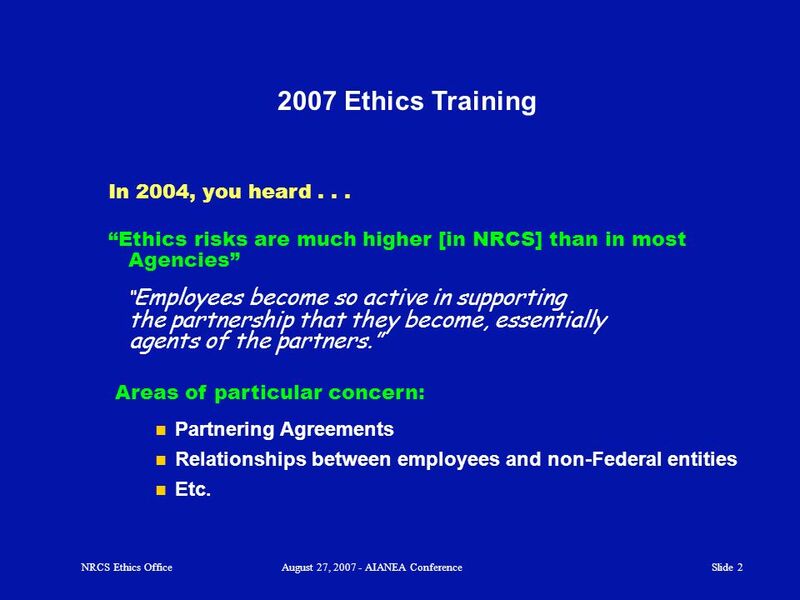 Butcher NRCS Ethics Officer NRCS Employees Sponsor:"
Slide 1 NRCS Ethics OfficeAugust 27, AIANEA Conference NRCS Tribal Liaisons 2007 Ethics Training Audience: Presented by the NRCS Ethics Office Caryl. 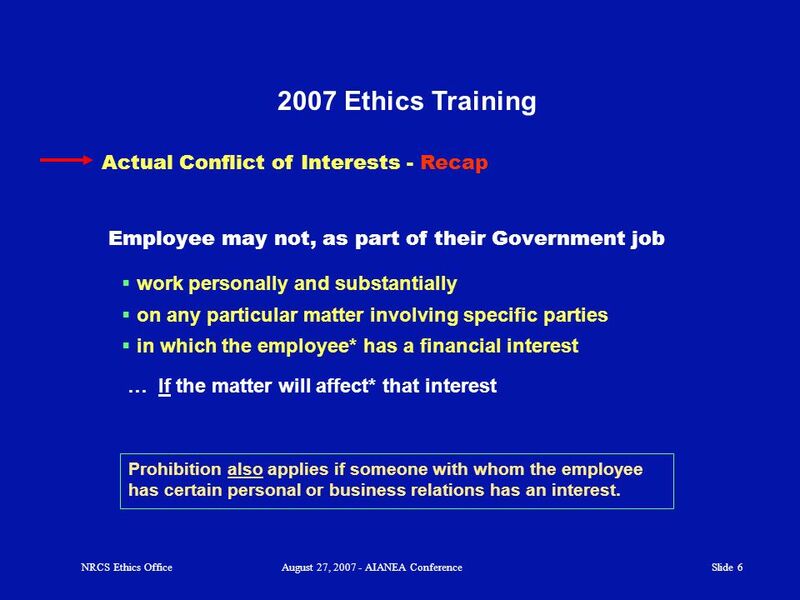 1 Identifying Conflict of Interest in the Public Service Rabat, 25 May 2007 János Bertók Public Governance and Territorial Development Directorate OECD. 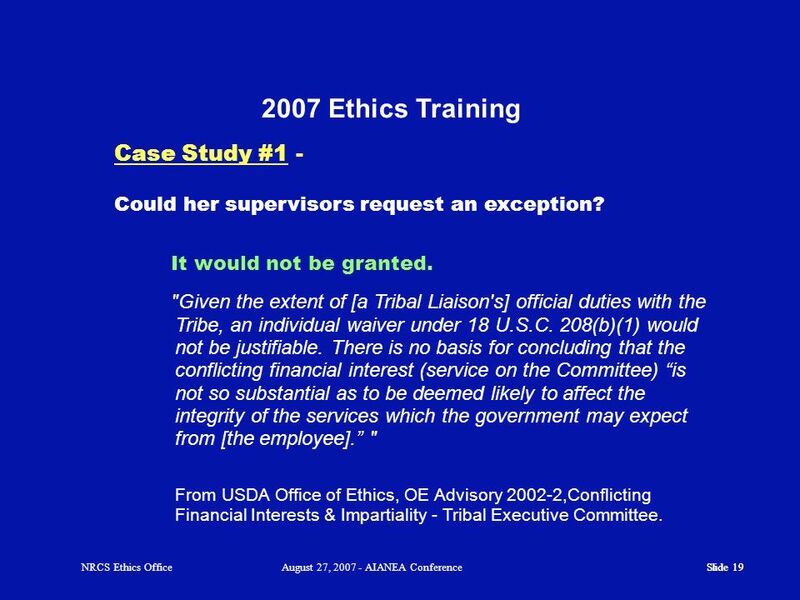 1 Texas Department of Agriculture The Food Service Management Company Contracting Process Food and Nutrition Division Texas Department of Agriculture. 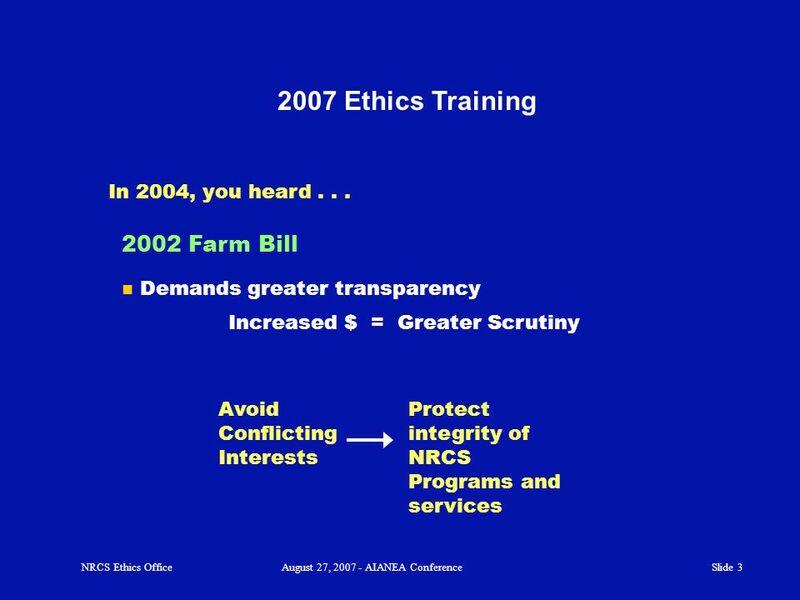 Contract Fundamentals at Fresno State Doug Carey, Grants Administrator Office of Research and Sponsored Programs California State University, Fresno. 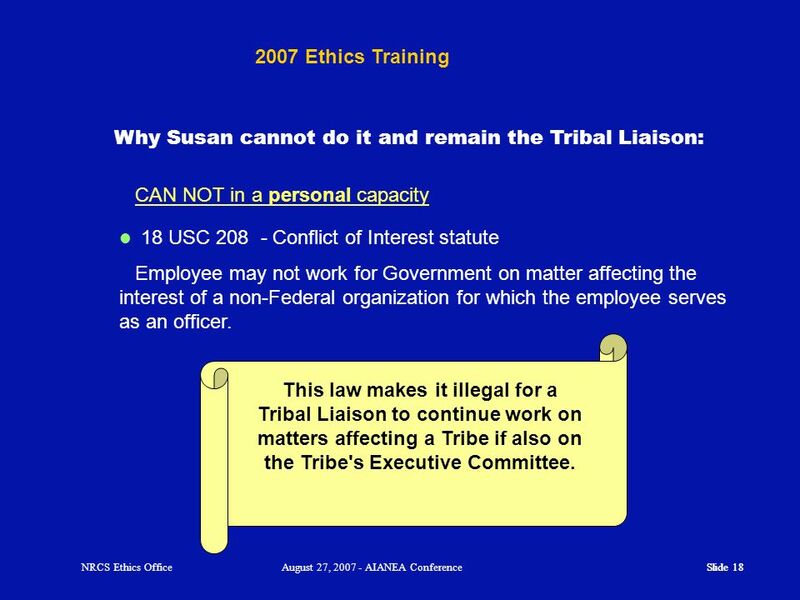 The West Virginia Ethics Act Chapter 6B of Code. 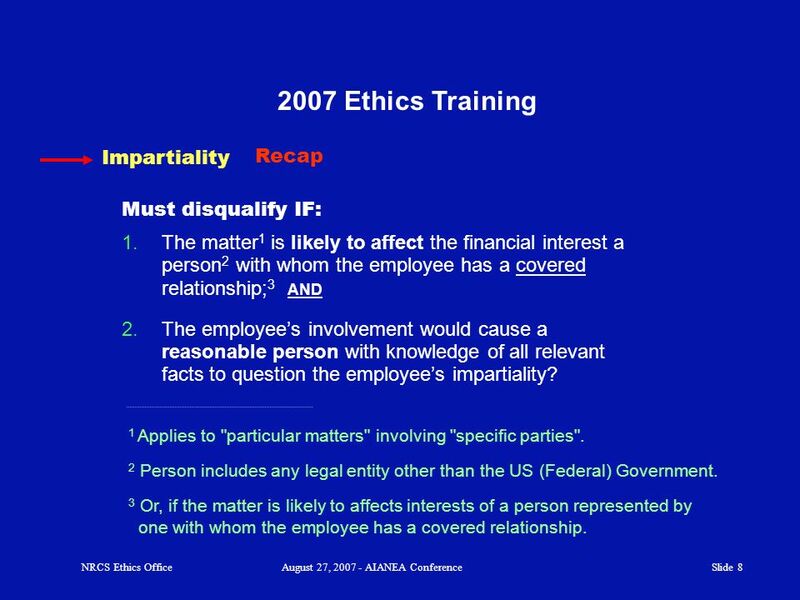 Basic principle is that public officers and employees are not to use their public position for their.